Another Anzac Day has been and gone, and our desire to remember our people who served in the Wars doesn't seem to be waning. With much pride, I watched my 10-year old twin daughters parade with their Cub Scout Pack at the citizens Anzac commemoration in Browns Bay. It was a cold wet morning, and despite this, there were just as many people of all ages this year, as there have been in previous years' when it was fine and dry. At the end of March, Twigs of Yore blogger, Shelley, and myself, issued a Trans-Tasman Anzac Day Blog Challenge to get people to share their stories of their loved ones and their sacrifices. Like the Anzac Day parade, I was humbled to see how many people wanted to pay tribute and remember their family members. Naturally, most bloggers were Aussies or Kiwis, but we also had bloggers from UK and the US, sharing their family stories of their own Anzacs. Not all the stories are of Kiwis or Aussies who died during one of the Wars. Some of the stories are of survivors - but bloggers felt that they wanted to honour the courage and the sacrifice and share their families' stories. Death during war, is the "ultimate sacrifice" for your country. But all those who served made huge sacrifices. They returned completely different people from the ones that left, lives altered forever. The families that had been left behind also sacrificed much. Write a blog post about an Australian or New Zealander serviceman or woman's family, and the impact war had on their family history. You can read their blogs on our Facebook discussion page. A special mention needs to go to Helen Vail, for her "100 NZ WW1 Memorials 1914-2014" blogsite. 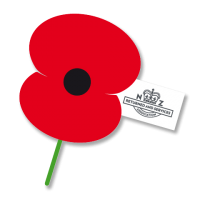 Helen's goal is to personally visit and collate information from 100 New Zealand World War One Memorials throughout New Zealand by August 2014 to commemorate the 100 year Anniversary of the start of World War One and to honour those who paid the ultimate price. My thanks for Shauna Hicks for sharing this blog with us via Twitter. We wish Helen well on her personal challenge. Thanks also to the National Archives of Australia, who left their link to information about their Shellshocked Exhibition and some of the personal stories that they have collected. Thanks to everyone who participated and shared their family's stories with us. Thank you all for participating by reading their stories.